Each year, hundreds of millions of people worldwide express their opinion by casting their votes in all sorts of ballots. Selfies at polling stations have become increasingly popular thanks to social networks and messengers: many voters are proud of having exercised their right to vote and wish to share it with everyone. People take pictures of themselves and their ballots at polling stations, post the photographs on social media and share their posts with friends. The question then arises whether voters should be allowed to post photos of their actual ballot papers and whether such acts are protected by Article 10 (freedom of expression) of the European Convention on Human Rights? Or could ballot selfies prejudice voting secrecy and create a risk of violations during elections and other votes? Hungary ratified the European Convention on Human Rights and accepted the jurisdiction of the Court in 1992. Pursuant to the Convention, applications received by the Court can be decided by a single judge (clearly inadmissible cases), a committee of three judges, a chamber of seven judges, or the Grand Chamber of 17 judges. The Grand Chamber considers cases in which jurisdiction has been relinquished to it by one of the chambers or, as in this case against Hungary, referred to it at the request of a party to the case. Hearings before the Grand Chamber are usually public but in exceptional circumstances may be held in private. The press and the public may observe the proceedings at the Human Rights Palace in Strasbourg, as did the group we were part of. No special permission or accreditation is necessary. All hearings are video-recorded and broadcast live on the Court’s website. A passport or press card is required to enter the Court building. In November 2018, the Grand Chamber of the European Court of Human Rights considered case No. 201/17 Magyar Kétfarkú Kutya Párt v. Hungary (Two-tailed Dog Party v. Hungary) concerning an alleged violation of Article 10 of the Convention. The Court delivered its original judgment in the case in January 2018; we attended a review of the case by the Grand Chamber. On 2 October 2016, a referendum related to the European Union’s migration relocation plan was held in Hungary. Shortly before the referendum campaign, the Hungarian Two-tailed Dog Party (Magyar Kétfarkú Kutya Párt, MKKP) 1A joke but officially registered in 2014 political party opposing the policies of the ruling Hungarian regime and known mainly for holding satirical actions and campaigns on pressing political issues. had made available to voters a mobile telephone application which they could use to upload and share photographs of their ballot papers. The application also allowed voters to add comments on the reasons for how they cast their ballot; users could post and share photographs anonymously. Following the launch of the application, a private individual lodged a complaint with the National Election Commission of Hungary against the MKKP, and the political party was fined for infringing the principles of fairness and secrecy of elections. Having lost the case in domestic courts, the Two-tailed Dog Party took the case to the European Court of Human Rights, alleging a violation of the right to freedom of expression protected by Article 10 of the European Convention. In presenting the case before the Grand Chamber, the applicant’s representative emphasized that citizens regularly shared events, thoughts and opinions on websites through photos taken with their mobile phones. In the context of elections, this means that voters all over the world take photos of their ballot papers and share them through social media. By developing the mobile phone application, the applicant wanted to enable voters to share photos of ballot papers and other messages anonymously, as a means of exercising their right to the freedom of expression. The applicant also argued that the mobile phone application had not infringed upon the secrecy and fairness of the voting procedure, since the content of the ballot papers could not be linked to the voters or any of their personal data. Thus, he argued that the aims of protecting the secrecy of the vote and voters’ personal data could not serve as a legitimate basis for restricting the right to freedom of expression. In considering the case, the Grand Chamber requested clarification as to whether the application made it possible to identify individuals who shared photos. The applicant submitted that the data collected through the application was later made available to a research institute for analysis and that the identity of individuals posting photos of their ballots could not have been revealed. The Government of Hungary argued that the purpose of the ballots had been to enable voters to express their opinion on the referendum question and that taking photographs of ballots and subsequently publishing them had not been in line with this purpose. A ban on photographs and on publication had not infringed voters’ freedom of expression, since they had been free to express their opinions by casting their ballots and to share with others how they had voted. In addition to this, the Government held that ballot papers did not constitute voters’ property. If a voter treats a ballot paper as his or her own and takes a photograph of it before placing it in the envelope or dropping it in the ballot box, he or she infringes the principle of the bona fide exercise of voting rights in accordance with their purpose. 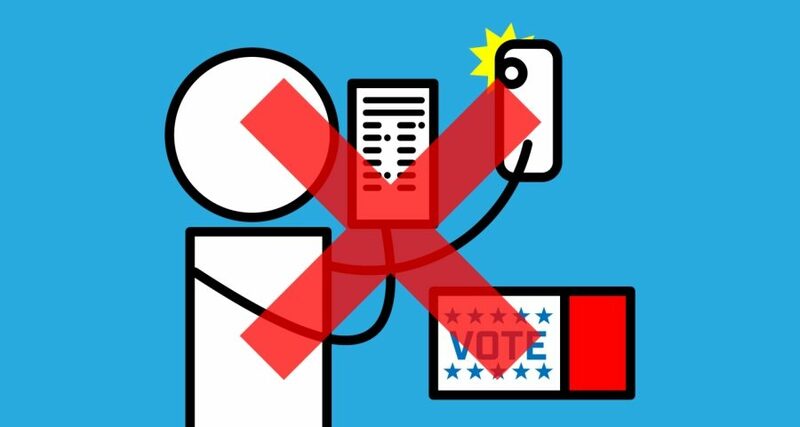 A voter should not take a photo of the ballot with a telecommunication, digital or any other device with the purpose of showing it to another person. Photographing ballots, according to the Government, could discredit the work of electoral boards in the eyes of the public. The Government further submitted that the use of ballot papers in a manner contrary to their purpose could also infringe upon the principle of election secrecy, which encompasses the secrecy of ballot papers, as enshrined in Hungary’s Fundamental Law. The Government also reasoned that allowing photos to be posted on the internet could have influenced voters in what would constitute unfair campaigning. Thus, taking photographs of voting or of ballot papers was in breach of the principles of the Act on Electoral Procedure. Observing the session of the Grand Chamber really helped us feel the spirit of the Court. The proceedings are very different from what we are used to in Russian courts. The respondent State and the applicant both address the Court rather than confront each other in the presence of an independent arbitrator. The parties do not ask each other any questions nor comment on each other’s answers; instead, they only respond to the Court. There is virtually no room for improvisation in the proceedings: both the applicant and the respondent Government must prepare their statements in advance and submit them to the Court the day before the session to give simultaneous interpreters enough time to prepare. During a hearing before the Grand Chamber, each party is granted 30 minutes to speak. They read out their statements prepared earlier, and the judges ask questions of the parties. In Magyar Kétfarkú Kutya Párt v. Hungary, the Court’s questions were targeted and specific. Rather than trying to spot minor inaccuracies or to find fault with the evidence, the judges delved more deeply into the details of the case while maintaining a reasonable degree of abstraction. In particular, the Government representative was asked about the reasons for building his case on arguments rejected earlier by a domestic court in Hungary where the applicant political party appealed the fine imposed. The Government representative was not able to think of any valid reasons during the 20 minutes allowed for preparing answers and chose not to respond to this aspect, focusing on other questions instead. The Grand Chamber will be issuing its judgment in the near future and will either uphold the earlier judgment adopted by the Chamber or find otherwise, namely that a ban on taking photos of ballot papers and sharing them via applications is consistent with Article 10 of the Convention. However, we know that in its original judgment in the case the Court has emphasized that Article 10 guarantees the right to impart information and the right of the public to receive it. Moreover, the Court has held that Article 10 applies not only to the content of the information but also to the means of transmission or reception since any restriction imposed on the means necessarily interferes with the right to receive and impart information. The Court notes that the mobile phone application in the present case possesses a communicative value and thus, for the Court, constitutes expression on a matter of public interest. Consequently, its sanctioning interfered with the right to freedom of expression. In respect of the Government’s argument, the Court referred to the position of the Kúria (the Supreme Court of Hungary) that posting photographs of ballot papers was not conducive to any prejudice in respect of the secrecy or the fairness of the referendum. The Government had not pointed to any actual rights of “others” that would or could have been adversely affected by the anonymous publication of imagery of marked or spoiled ballots. Pending the Grand Chamber’s judgment in the case, it is still an open issue whether taking photos of ballot papers is consistent with Article 10 of the Convention. We believe that this upcoming judgment may have significant implications for elections in the Russian Federation as well as in other European countries. Currently, Russian voters are permitted to take selfies in the voting booth, ballot in hand, and post them on social media. No one has ever been punished for such actions. The only requirement is that people should observe the ban on campaigning on election day – i.e. posting a selfie with a ballot marked for a particular candidate on election day may be considered illegal campaigning. However, sharing an invalid ballot cannot be regarded as campaigning for any specific candidate. Unfortunately, the absence of a ban on taking and sharing ballot selfies in Russia may have negative implications in terms of voter independence and voting outcomes by making it easier to bribe a voter or use their subordinate position at work or school, getting them to vote in a certain way and requiring a booth selfie as proof of compliance. Therefore, we find that the Hungarian Government’s arguments concerning potential consequences of permitting ballot selfies are not entirely without merit. Whether or not the Court will change its position on the application of Article 10 of the Convention in the context of elections and other forms of voting will be revealed later this year; it is impossible to predict the exact date when the Grand Chamber’s judgment will be published. 1. ↑ A joke but officially registered in 2014 political party opposing the policies of the ruling Hungarian regime and known mainly for holding satirical actions and campaigns on pressing political issues. Yana is an attorney and Russian bar member since 2009, currently with the Verdict Advocates Collegium (Moscow). Yana litigates cases related to domestic violence, violence against women and children, international abductions of children. She also represents corporate clients in business disputes.